With an instantly recognisable and highly awarded bibliography Oz Clarke is a national treasure, not just in his native England but across the world of wine. Here he shares his tips to train your tastebuds, tells us what it takes to write a book like Grapes & Wines and ponders which of the Three Wine Men he’d rather road-trip with. It seems like you’ve won every wine writing award going! Are there any that you still covet? I don't covet anything. I've had a wonderfully enjoyable life in wine so far (after my life in music, theatre, and theology!). Every day I look back with gratitude and humour, and forward with optimism. Carpe Diem is an important state of mind when you are a writer. There are times I think my books are worth a prize, and if I get the prize I am thrilled and grateful. There are times I don't get the prize I want, and I'm upset for a bit but I move on. And there are times I don't think my book is good enough for a prize, and it doesn't get one. And I move on telling myself to try harder next time. You’re well known for your extraordinary palate, having even won the World Wine Tasting Championship. What advice would you offer others looking to develop their own palate? Practising isn't just sitting in a classroom with a bunch of blind samples and a spittoon. It's drinking the stuff with your friends. It's talking about it, shouting about it, laughing about it, forgetting to spit, forgetting to make notes, remembering to do so next time. Talk about wine. Form opinions. And learn from other people's views. Finding the fun in wine will lead you to become a better taster when you do have to get down to the classroom work because you'll have memories, experiences, and emotions to call upon. When learning how to taste, these help you remember and understand much better than any page of black and white. And you must love flavours. Taste everything. Tap water, milk, coffee. Fresh baked bread, frozen peas, the breath of wind on a Spring morning, the new-laid tar by the roadworks, your Auntie Doris's eau de cologne... Take every chance to revel in the joy of our senses - of sight, of taste, and, above all, of smell. When you do have to sit down and taste wine seriously, you'll have the vocabulary and memory to make sense of those glasses of anonymous red and off-white liquid sitting sullenly in front of you. And be true to yourself. Many wines reveal their identities to you for a split second the moment you smell them. (Some don't, so don't fret about trying to find what isn't there.) If you get a first impression of what a wine may be - note it down (don't just think "oh, I'll remember it"; you won't). More often than not you're right. Only change your mind with good reason. But always, always be honest with yourself. You can only learn to taste wine by learning to have opinions, and by gaining the courage to believe in them. Talk about wine. Form opinions. And learn from other people's views. Your book Grapes & Wines was first published in 2008, and you’ve since released a revised version in 2015. How much work goes into writing a book of this nature? It takes a massive effort of organisation, for which we have Fiona Holman, our editor, to thank. We pride ourselves on being the most up to date possible, so every statistic has to be pursued, cross-checked, and then written about in a readable manner. It's a big challenge, because Margaret and I want to make the book approachable for anyone interested in wine, yet detailed and academic enough to be useful to wine professionals all around the world. I'm absolutely delighted when I see it nestling in winemakers' offices on all 4 continents (or is it 5?) – I spotted the German edition in Namibia once! You spend a lot of time talking to consumers about wine at events around the country, how have these conversations evolved over the past 10 years? In some ways the conversations haven't changed at all. People still want to know what it's like sharing a caravan with James May (challenging), and many people still want to know if Jilly Goolden and I are married (I wouldn't dream of saying). The country is awash (a wash? I must recommend that to James!) with enthusiasts keen to chat, they want to laugh and joke, and they want to get all up close and personal - the selfie has gone mad in the last 10 years! But there is no doubt that there is now more knowledge amongst the keen wine drinkers, and a greater willingness to experiment. 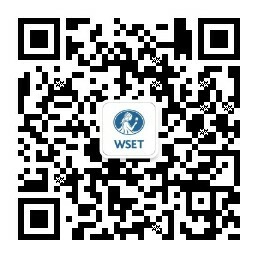 And that taps into the importance of WSET qualifications. It's not just wine where people are demanding more authenticity, more traceability, more integrity - but wine's our world and we're ideally placed to help spread the word. What would be your ultimate wine road trip – and which of the other Three Wine Men would you choose to share the journey with? My ideal road trip would be idyllic, rambling, open-ended, not subject to schedules and pressures and appointments, and would probably take the whole summer long. Oz Clarke's new book, World of Wine, will be released in September 2017.